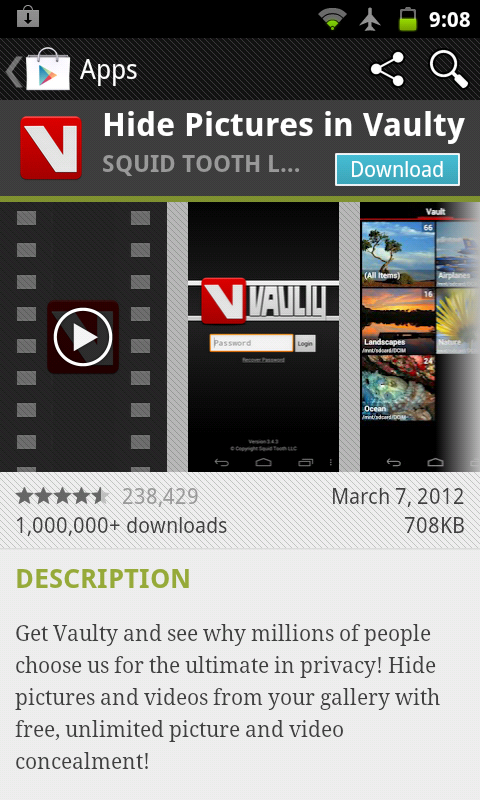 Do you have any exciting or animated photos or videos in your android smartphone and do you want to hide that? If yes, then numerous options like fake fronts, password, pin protection, encryption tools etc are available for you. Many android apps are available to hide your contacts and text messages too. 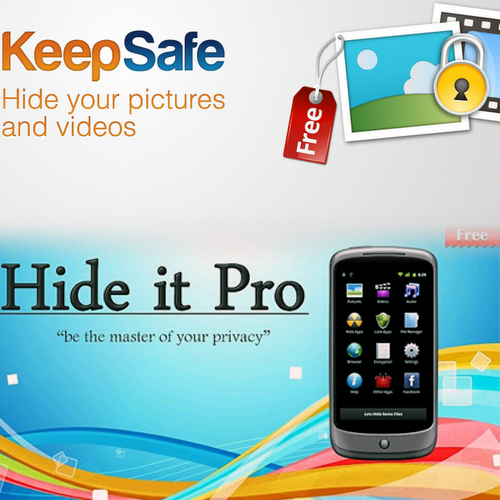 Here, let’s we take a closer look in the apps which helps you to prevent the photos and videos. This app helps to hide the pictures/photos on Android. You can fire up the app and then choose pictures and videos and add to secure vault, or you can select share on the photo or video itself and choose vaulty from the list. By using the both ways you can hide photos and videos in your private gallery which can be password or Pin Protected. In this app you can also view, search, zoom, share, filter and rename photos from within the app, and its easy to filter videos and select multiple files. This android allows you to hide photos, videos, apps, messages and even calls. It goes one step beyond the competition and provides a great service for anyone with something to hide. If you access the audio manager app it will actually work, allowing you to tweak your device’s volume settings. In order to access your hidden stuff you simply long press on the title and enter your PIN and password.Its very easy to hide and unhide the content in this app and you can do it in batches. All of your photos and videos can be searched, sorted, viewed, zoomed into, shared and you can even run in slideshows. This app keeps your files hidden so even file managers won’t reveal them. There are a range of numerous add-ons that allow you to hide apps, engage in private browsing and private messaging and calls. 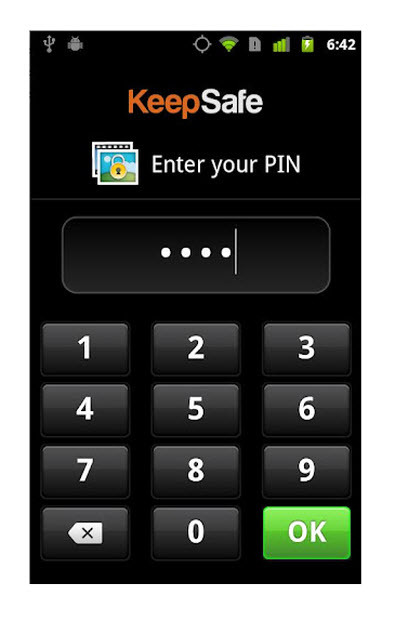 It is another option that allows you to hide photos and videos files in a PIN-protected gallery. In this app you can view the photos with rotate, zoom and slideshows. It has two peculiar features, in the first one you can enter a fake PIN which will take you to another gallery which you can fill with dummy photos or videos to fool anyone who demands to see your vault. In the second one, a Safe Send feature is available which allows you to send photos for a limited time. This is a serious option for people who are seeking a wider range of privacy options. By using this app you can hide photos and videos in an encrypted, password-protected vault on your phone. With this app you can also hide contacts, text messages and call history. If you add a contact in this app then calls and text messages from the contact will no longer appear in your SMS folder or call logos. 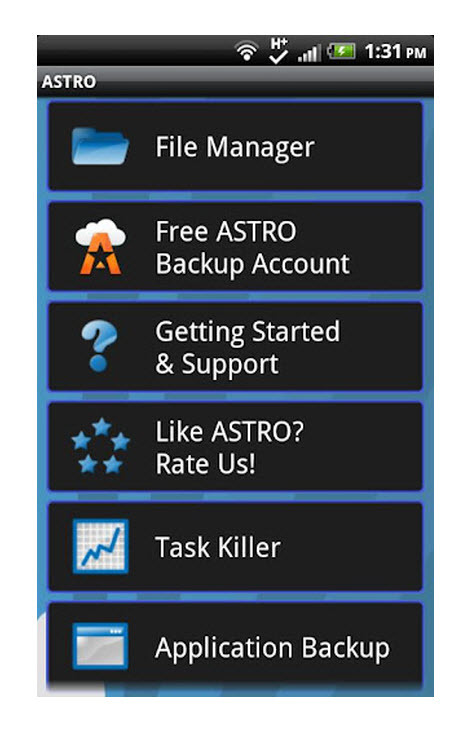 If you upgrade to the premium version for $2.99 per month you will also get an online vault backup, a break-in monitor which will photograph anyone who enters the wrong password, and a stealth mode which completely hides the app unless you enter a password in the phone dialer. It is possible to hide folders from most apps simply by prefixing the name of the folder with a dot. This can prevent folders from being indexed in your Gallery. You can rename directories using any Android file manager. If you choose the boring sound system related to the name will be enough to hide sensitive files from most snoopers. Among with all these five apps Hide it Pro covers most bases and it is ease to use.